Fundraiser by Matt Goldstein : The Vassar Devils Album & Tour! The Vassar Devils Album & Tour! 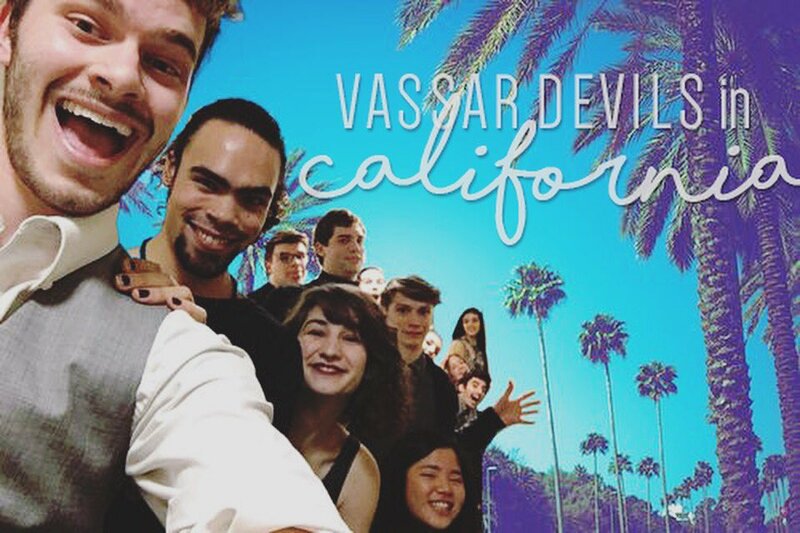 The Vassar Devils are going on our first cross-country tour and recording our first studio album, and we need your help!!! The Devils are passionate about making music that is powerful, fun, emotional, and innovative, and over the last 2 years we have worked tirelessly to create this music, spending countless hours arranging, composing, and rehearsing. We are so proud of the music that we have created together, and now we want to share it with as many people as we can! We have performed at Vassar and the surrounding communities, at the Beacon Theater on Broadway as part of the ICCA (International Championship of Collegiate A Cappella), and even at the White House to sing for the President and First Lady. Now we want to take our music even further, both through live performance and on a studio album! We are hoping to go on tour to California during our 2016 spring break and share our music with the wonderful people of Los Angeles and San Francisco! A trip like this would be a dream come true – allowing us to share our music with an entirely new audience and grow even closer as a Devils family in the process! We are also trying to record our very first professional studio album with the amazing people of The Vocal Company, and hope to release the album in the Fall of 2016. This studio is top-notch, full of brilliant a cappella minds who will help our music come to life the way we know it can. We have put everything we have into this music – our joy, our confusion, our determination, our heartbreak, and our love – and we want to record this music so that we have a lasting record of the immense amount of work we have put in. Furthermore, we want to be able to share our sound not just with our friends at Vassar, but with all those who enjoy and support us and our music! Of course, all of these big dreams come with a big price tag. In order to do all these exciting things, we will have to pay for plane tickets to and from the Golden State, food and transportation costs once we’re there, travel to and from the studio, and the various costs of recording, editing, mixing, and mastering the album. Although we have been working hard to raise money by doing fundraisers on campus, performing at off-campus gigs, and holding workshops at high schools, we are still a long way away from reaching our goals - $8,000 away to be exact. It would mean the world to us if you choose to donate! Whether $5 or $500, every donation makes a difference and we would be honored and thankful to have your support! 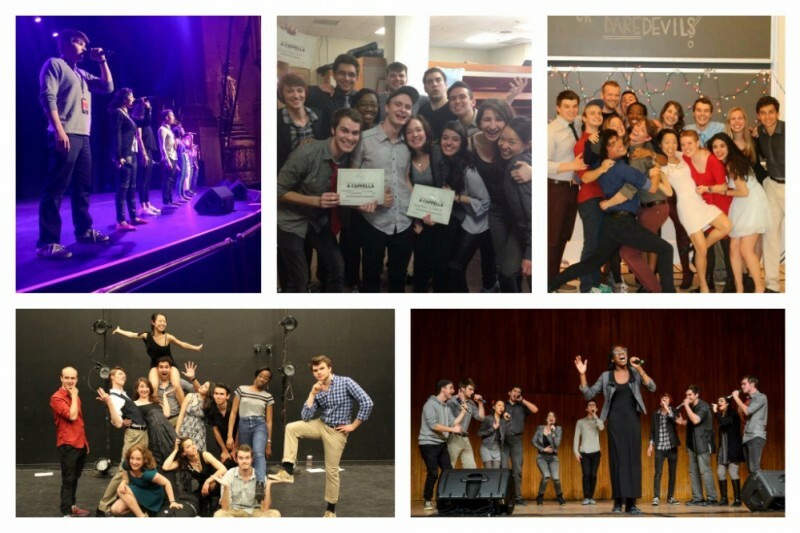 If you haven’t heard of us, the Devils are a co-ed a cappella group from Vassar College that sings all styles of music, focusing on complex musical arrangements and a powerful, emotional sound. Since being founded in 1987, the Devils have accomplished some incredible things, and 2015 was our most exciting year yet! At the beginning of the year, we were named the Northeast Champions of the 2015 ICCA, and got to perform at Finals as one of the top 8 groups in the U.S. and U.K. During our run in the ICCA, we received 2 awards for Outstanding Arrangement, as well as 2 awards for Outstanding Choreography. The Devils made our television debut on the POP TV docu-series, Sing It On, which followed the ICCA and featured some of our performances. We also were fortunate enough to win the Find Your Voice a cappella songwriting competition with our original songs “I Will Wait” and “Nothing”, which has allowed us to further explore our passion for writing and performing original a cappella music. Most recently, we were invited to perform at The White House as part of the 2015 holiday season, and we had the incredible opportunity to meet and sing for Barack and Michelle Obama! We are so proud of the places we’ve gone with our music, but we need your help to continue taking it to new heights. Thank you so much for your love and support – we hope you enjoy listening to our music as much as we love making it! We are so amazed and grateful to announce that we have ACHIEVED OUR FUNDRAISING GOAL!!! Thanks to all of the generous people that donated to our GoFundMe, bought our single, I Will Wait, and spread the word about our music, we have managed to raise over $8,000 for our West Coast Tour and first studio album! We are absolutely overwhelmed with gratitude for the support you have given us, and we cannot wait to share our music in California and then share our album with you all! We are also pumped to begin working on the special rewards that you guys selected, and are hoping to send those out soon! Once again, thank you so much to everyone who has helped us achieve so much over the last month - we cannot thank you enough, and we are so excited to see what lies ahead and share it with you every step of the way! A personalized thank you email from all of the Devils - YOU ARE THE BEST! All of the above, plus a digital download of the first single from our All-Original EP! All of the above, plus a digital download of our EP album of original songs written by the Devils! All of the above, plus a digital download of our full-length studio album! All of the above, plus a personalized video of the Devils singing our thanks to you! All of the above, plus a handwritten thank you card signed by all of the Devils! All of the above, plus a special video of the Devils singing our arrangement of Happy Birthday to a person of your choosing! All of the above, plus your name credited in the liner notes of our studio album! All of the above, plus an invitation to an exclusive album release listening party at Vassar - you will be the first to hear our new album! All of the above, plus a live 30-minute concert that we will perform just for you, either at Vassar or over Skype! All of the above, plus we'll come to you!!! We will perform a 30-minute concert at any event/location of your choice (as long as it's within 2 hours of Vassar)! Go Vassar Devils! I am a friend of Marcie Rose. Great work, Matthew. Wishing the Vassar Devils best of luck! I want a Limited Edition Valentinogram! So proud to be your cousin Matt!! The west coast won't know what hit 'em! !